TailoredMail works seamlessly with over 200 CRM system through specific "connectors" we have built (Salesforce, Microsoft Dynamics, SugarCRM, Zapier), or via our robust API. Synchronize your customer profiles, marketing lists, lead scores, and leverage campaign triggers to leverage the best of your CRM with the advanced functionality found in TailoredMail. One incredibly valuable feature within TailoredMail (that works with all of the solutions below) is our dynamic-query-and-scheduled-actions functionality. Simply synchronize your customer profiles with TailoredMail, and then set customizable business rules to be performed. For example, perhaps you would like subscribers to be added to an automated drip campaign “if a specific subscriber profile field is ‘YES’ and they have opened an email within the last 30 days.” The flexibility of these business rules is limitless. TailoredMail offers a free data-connector (for Enterprise-licensed users of Salesforce) that maps Salesforce profile fields to TailoredMail fields and features. This connector allows you to set up elaborate business rules that determine what customer profiles to synchronize, business-rules to execute, campaigns to initiate, and marketing lists to manage/sync. 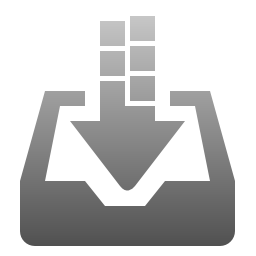 TailoredMail offers a free data-connector for businesses (using the online or on-premise solution) that maps MS-CRM profile fields to TailoredMail fields and features. This connector allows you to set up elaborate business rules that determine what customer profiles to synchronize, business-rules to execute, campaigns to initiate, and marketing lists to manage/sync. TailoredMail offers a free data-connector for businesses (using any SugarCRM solution) that maps SugarCRM profile fields to TailoredMail fields and features. This connector allows you to set up elaborate business rules that determine what customer profiles to synchronize, business-rules to execute, campaigns to initiate, and marketing lists to manage/sync. TailoredMail prides itself on offering a highly flexible and customizable API for virtually any business need your company may require. We offer both XML and JSON variations of these API’s that can synchronize subscriber profiles, exchange tracking data, and perform campaign/transactional-email execution. When old-school data exchange scenarios are required, we have created an automated data-file transfer solution (e.g. CSV, Excel) where you can post automated data-exports to a secure location, and have TailoredMail pick up the file and process it (and execute automated-business-rules on that file). We have numerous clients who simply don’t have the development resources or in-house technologies to use APIs, and instead need to simply post an updated file and have TailoredMail upload it and perform an array of custom business rules against it.